Lily of the valley plants has been known since 1000 BC. This flower is famous for the beauty and fragrant aroma that is emitted during the bloom in spring and early summer. The leaves are green with a width of 3 to 5 inches with stems as high as 4-8 inches covered by small bell-shaped white flowers. Lily of the valley multiplies itself with seeds produced after flowers bloom. It is a plant that likes a humid climate and will always exist in the USDA zone 2-9. For you fans of this plant, read on our article because we will provide information about how to plant lily of the valley. 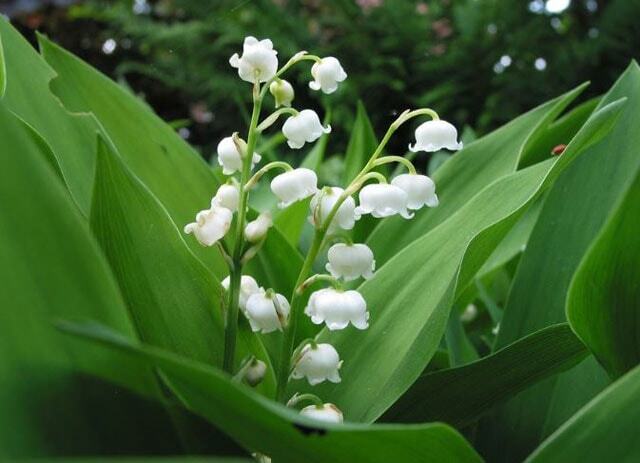 Lily of the Valley is a beautiful plant that is easy to cultivate, she likes a damp and shady place. To get this plant to grow in your place, you don’t need to do extra care. If you know how to grow lily of the valley, this is very easy for you. Planting lily of the valley can also be done in full sun or shade because what matters to him is the humid area. 1. Convallaria majalis ‘Albostriata’ – This type has dark green leaves with elongated white lines and even creamy ones. 2. “Aureomarginata” – While this type has yellow leaves and some are creamy. 3. Rosea – This is a type of Lily that has pink flowers, but the durability of this plant is not the same as the white variant. But the beauty given by Rosea is amazing. 4. Convallaria majuscule “Greene” – This is a lily of the valley native to North America. This type is good for planting to cover the soil naturally because it will look like a tapestry that spreads beautifully. To get optimal results from growing lily of the valley, of course we must know when is the right time to plant this plant, whether in spring or winter? Planting at the right time will maintain the existence of this plant. 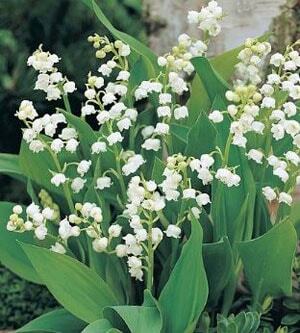 Planting lily of the valley is good to do in the late fall because it needs winter and humidity for good growth. Distribution can also be done with the rhizomes that are underground. You can share this rhizome after the flowering period. The November and December bias is the right time to divide the lily of the valley rhizome and plant it in your garden. While care must be taken carefully because the lily of the valley is a poisonous plant and you must keep children and pets away. The best way for you to grow it is in the outdoor container is that it is easy to maintain and control its growth. Lily of the valley is easy to spread and develop, so you need to prepare a good control method.